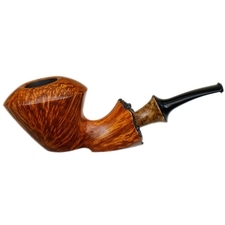 An elegant and lithesome piece, this bent Dublin from Lasse Skovgaard presents an interesting study in the redirection of curvatures. 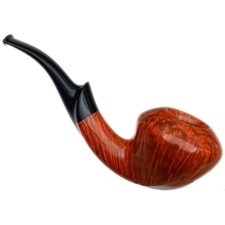 With the upward swing of the shank rising at the stem/shank transition, and the unusual stem configuration curving frkum the lip button down to the transition, we have two different geometrical themes combining into one complete equation. 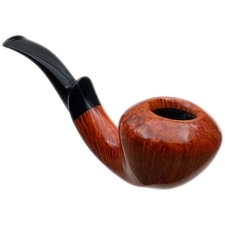 The domed rim is wide and gently sloping to the chamfered inner rim. 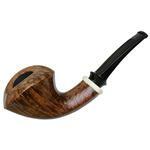 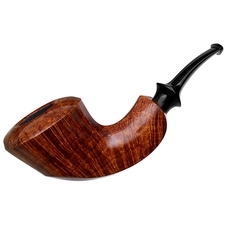 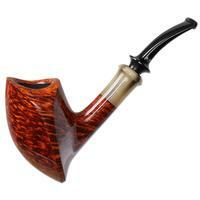 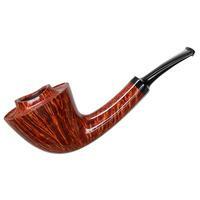 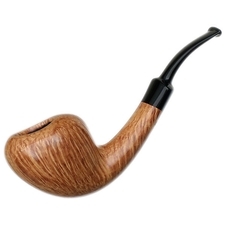 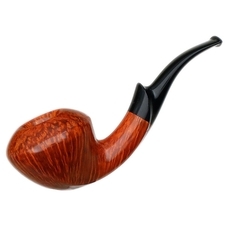 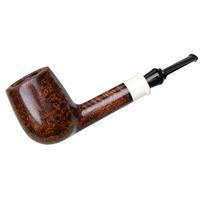 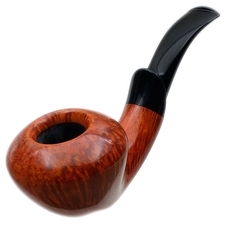 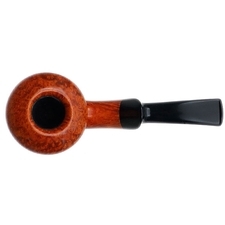 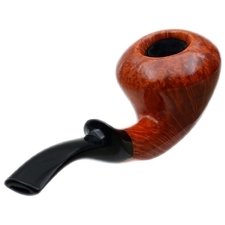 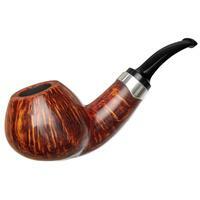 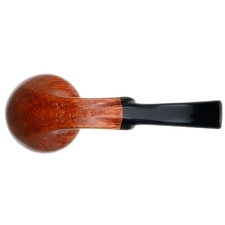 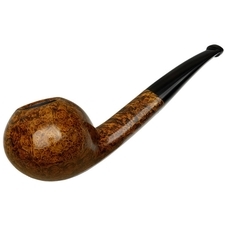 A happy pipe to hold, with numerous places for fingers to rest, it's a tactile and visual symphony.